You don't need to spend a fortune for Bluetooth speakers or Bluetooth headphones to get the sound quality of an audio or video experience of the aptX Low Latency codec. The HomeSpot Bluetooth Receiver and HomeSpot Bluetooth Transmitter both have aptX Low Latency built in, so you can turn any older audio device into a modern Bluetooth-ready system. aptX Low Latency for Bluetooth offers a total end-to-end latency of approximately 40 milliseconds (ms). 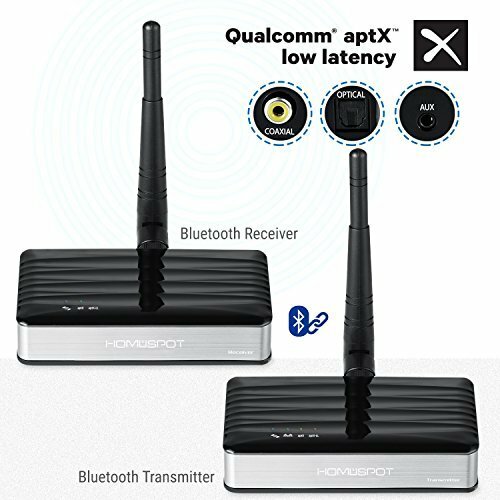 That's far less than the standard Bluetooth latency of more than 150 ms (+/-50ms), and it meets the 40 ms standard recommended latency for audio/video applications.